Ready-to-use AAV1 particles produced from pAAV-CaMKIIa-hChR2(H134R)-EYFP (#26969). 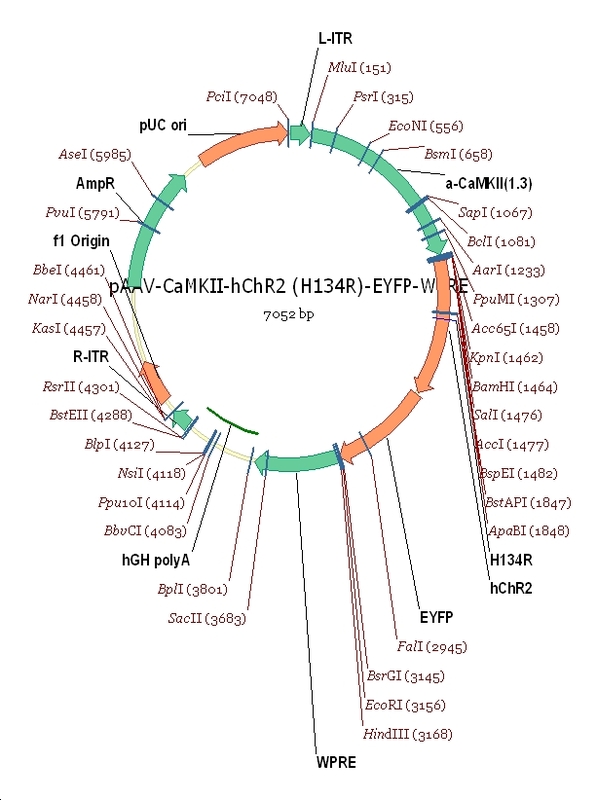 In addition to the viral particles, you will also receive purified pAAV-CaMKIIa-hChR2(H134R)-EYFP plasmid DNA. CaMKIIa-driven, humanized channelrhodopsin H134R mutant fused to EYFP for optogenetic activation. These AAV preparations are suitable purity for injection into animals. Ready-to-use AAV2 particles produced from pAAV-CaMKIIa-hChR2(H134R)-EYFP (#26969). 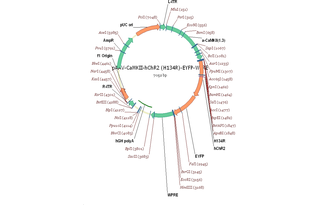 In addition to the viral particles, you will also receive purified pAAV-CaMKIIa-hChR2(H134R)-EYFP plasmid DNA. Ready-to-use AAV5 particles produced from pAAV-CaMKIIa-hChR2(H134R)-EYFP (#26969). In addition to the viral particles, you will also receive purified pAAV-CaMKIIa-hChR2(H134R)-EYFP plasmid DNA. Ready-to-use AAV9 particles produced from pAAV-CaMKIIa-hChR2(H134R)-EYFP (#26969). 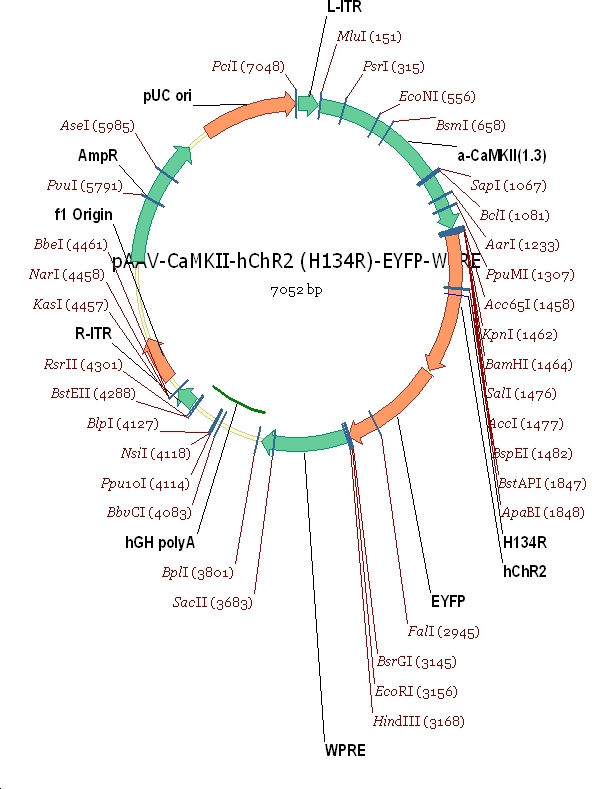 In addition to the viral particles, you will also receive purified pAAV-CaMKIIa-hChR2(H134R)-EYFP plasmid DNA.